2.02 Age Eligibility: A player’s age on April 30 of the season will dictate his age group for that season. A child’s grade may also be used for all age groups. A child may play one (1) year down in an age group if they is eligible for that grade but they cannot play two (2) age groups down even if eligible for that grade. e.g. A 9u child may play 8u if they are in 2nd grade but would not be allowed to play 7u even if in 1st grade. A player can always play up in age divisions. 2.04 The team’s manager is responsible for all aspects of the eligibility of the players on his team and that they meet the requirements as set forth in Rule 2.02. 2.05 A player who is in violation of the age eligibility shall be considered an illegal player. 2.06 If anytime during a tournament game, a player is discovered illegal due to an age violation or participating on more than one team in the same tournament, the offending player will be suspended from play for the remainder of the tournament in any age bracket. Upon the second offense appropriate action up to and including suspension of offending team and coaches to further participation in any future events may be taken. 2.07 In each age division, all participating players in events shall have photocopies of their original birth certificates in the possession of their team manager. Electronic copies of ID documents are accepted. Failure to have a copy of a birth certificate upon demand will result in suspension for the remainder of the event until such document can be produced. Driver’s License is permitted. 3.01 Event host will provide(3) complementary coach passes per team. All players will be admitted without charge. 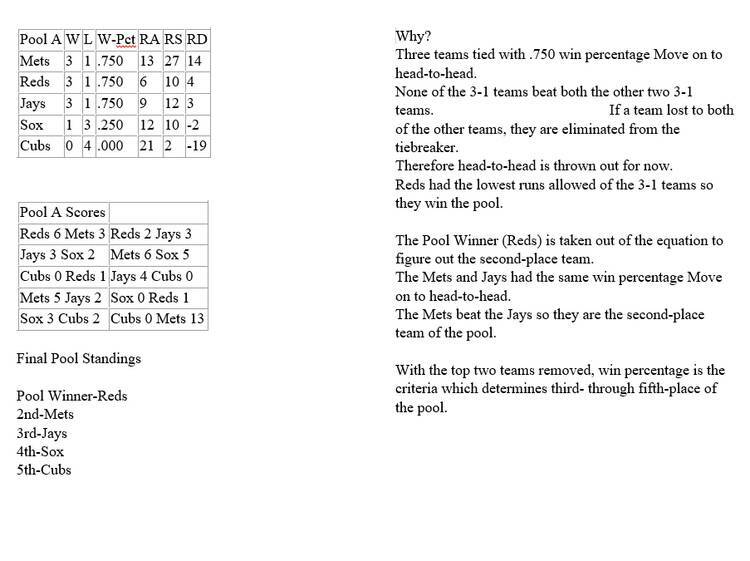 3.02.2 Runs allowed (First criteria to determine the top seed in three-way tie in pool play, see “Tie-Breaker Example” below). 3.02.4 Run Differential 8 runs max. 3.02.5 Average runs per inning in pool play games. 3.03 Regional and Super Qualifier tournament event champions receive a berth to the current season’s National Championship. Champions must confirm attendance at the National Championship immediately following the tournament. If a team is already registered for the BCS or other PG core event that is paired with the Super25 National Championship, they will be automatically transferred over from that event. 4.01 Physical attack on an umpire, tournament official, associate director, associate officer, and/or any player or fan prior, during, or immediately following a game played under the authority of Perfect Game. 4.02 Players, coaches, managers, or sponsors threatening an umpire, tournament official, associate director, or associate officer with physical harm. 4.03 Any player, coach, manager, sponsor, director or officer who engages in physical fighting. 4.04 Using unsportsmanlike conduct or abusive language, symbol tactics, or derogatory or unbecoming acts. 4.05 Destruction of property or abuse or failure to pay ( Failure to pay can also result in a law suit). 4.07 Competing under an assumed, false and/or altered name. 4.09 Tournament hosts have the authority to rule on the ejection of a player, fans, or team anytime during a tournament for committing any of the above listed offenses. 4.10 A player or coach ejection carries removal from that game only as long as he leaves the premises (If he stays he could be suspended for more than just that game). 4.11 A coach or manager who is ejected for the second time in a specific tournament is suspended for the rest of the event. 5.04 Official uniforms must be complete with matching team jerseys with numbers that are non-duplicating. Blank number is considered number 0. Only customary baseball shoes shall be worn by any and all players. Regular metal cleats are NOT allowed in age divisions 7U-12U. 5.06 Catcher’s requirements are the use of a catcher’s mitt, chest protector, leg guards, protective cup, and catcher’s helmet with face mask and throat guard. In 7U-13U, catchers must use hockey style mask. 5.07 Offensive players are required to wear a double ear cover batter’s helmet whenever at bat, on deck, base running, or base coaching. 6.04 Mandatory avoid contact rule is in effect at all age levels 7U-18U. Any player is out when the runner makes contact or does not try to avoid contact when the defensive player has the ball and is waiting to make a tag. All players are required to avoid violent contact with another player while running the bases. Players running to second-base must slide directly into the base. If, in the opinion of the umpire, the runner does not make an effort to avoid collision, he is to be declared out. If the act is deemed by the umpire to be malicious, the runner will be ejected from the game. 6.07 Tied games in pool play at the completion of game time limits shall be recorded as ties for all games. If there is time left after the completion of the game and the game end in a tie, one extra inning will be played and that is it.. In elimination play, tied games will be completed to determine a winner. No tie-breakers will be used. No bracket or championship games can end in a tie. If a game ends in a tie during bracket play the next inning for each team will start with bases loaded and 1 out. As you last hitter from previous inning starts at 1st next to last hitter at 2nd and 3rd to last at 3rd. You continue to do this until a winner is declared. For our 13u group we offer a choice of 5 of our Premier Tournaments for the discounted price of $750.00. 6.9 A game affected by but not limited to the weather, light failure, or darkness (on fields without lights) for ages 13U-18U shall be considered a complete game after four (4) complete innings or three and a half (3 ½) if the home team is ahead or if 1 hr of time limit has expired. A game which is stopped after the 5th inning, but not in a complete inning, reverts back to the last completed inning. A game is considered complete if more than an hour is played and rain hits. For ages 9U-12U it will be three (3) completed innings. If the time limit is almost complete or if this game ends and no games are played the rest of the day the game will be considered completed. If rain hits there will be a 1 hour grace period then the clock will continue to run. A director can call any game complete if weather becomes an issue. If a team takes field and accepts playing in wet conditions they will assume liability for the field or bases in terms of insurance purposes. 6.10 Suspended games of a complete inning (1) will resume from the point of suspension. Games with less than one (1) inning will start over. 6.11 Scheduled game time has a 15 minute grace period. If a team is unable to start with eight (8) players, the game will be recorded as a forfeit and the offended team will be awarded a 7-0 win. If the team starts with 8 players the 9th batter in lineup will be considered an out. If a game starts with 8 or more players the game can continue with 7 players if injuries happen but less than 7 the game will then have to be a forfeit. 6.11.1 Any intentional forfeit will result in the forfeiting team being eliminated from the tournament. The tournament committee will rule on all forfeits. No team should benefit from the result of a forfeit in an unfair manner. This rule could result in a dispute and the tournament committee reserves the right to look at and rule in the fairest possible way. The committee’s decision will be final. 6.13 Protests of official playing rules must only be submitted to the tournament director with a $100 cash protest fee. The official rules of protesting a game also must be adhered to for the protest to be considered. If the protest is upheld, the protest fee will be returned. Protest can only be addressed for rule interpretations, players ineligible, or pitching rules. The pitcher has to be pitching during the tie or ineligible player has to be playing. 6.14 Intentional walks at 9U-18U age levels, the pitches must not be made. Simply Call time and the players or coach tell them to take your base. 6.15 Starters may re-enter the game one time, however they must re-enter in the same place in the batting order. Substitutes may not re-enter the game. 6.16 In the Windup Position, a pitcher is permitted to have his “free” foot on the rubber, in front of the rubber, behind the rubber or off the side of the rubber. 6.17 Trips to the mound: The pitcher must be replaced on the 2nd trip to the mound in any inning. MLB Rule. – Time limit is 60 minutes. No new inning after 60 minutes. NOT drop dead unless home team is winning and batting and time limit is up. – Calling time as soon as lead runner is not advancing. NO creeping or jockeying back and forth to bait throws. – 5 pitches per batter. If 5th pitch is fouled off, batter gets another pitch until fair or no contact is made. – No bunting, batted ball must go past arc line or is considered foul ball. -Player playing Pitcher position must have foot in pitching circle and may not leave until ball is hit. (Penalty is offensive team may take result of play or no-pitch. Second offense removal of player from pitching position). -NO infield fly rule at any time. -Batted ball that hits pitching coach is dead if an attempt was made to avoid contact. If not attempt to avoid contact then the batter is out. -Bracket play highest seeded team is home. 7.00 Not covered in the Rules: In the event any item is not covered in the rules, the tournament committee will make the fairest possible ruling and that ruling will be final. 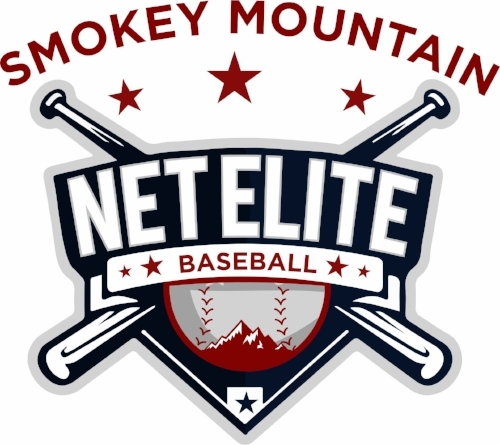 NET Elite accepts payments via Check, Credit Card, or Cash. Tournament deposits, full payments, or remaining balances may be made using these methods. If registering and paying the day of the tournament, payments will be accepted in the form of Credit Card, Cash, or Cashier’s Check (NO PERSONAL CHECKS). No refunds will be issued on these payments. Once the game starts the game is now considered a game played. So the first pitch of the 2nd game for3 game guarantee or first pitch of the 3rd game for a four game guarantee will be considered no refund if rain hits. Refund will be rewarded by credit and held for a year. Deposits are no refundable no matter what this portion will be held and the rest given back in %.